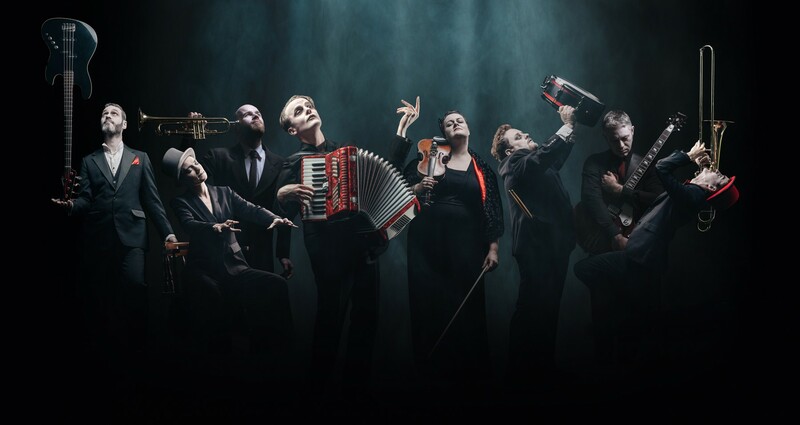 A music and theatre spectacle, The Dark Carnival features sixteen performers and musicians. Through songs, spoken word and Vanishing Point’s unmistakeable imagery, they tell the story of newcomers to the afterlife who discover, much to their surprise, that death is not actually the end. Incredulous at their continuity, they form their own necropolitan community where every night is party night: songs get sung, love gets made and whisky flows. 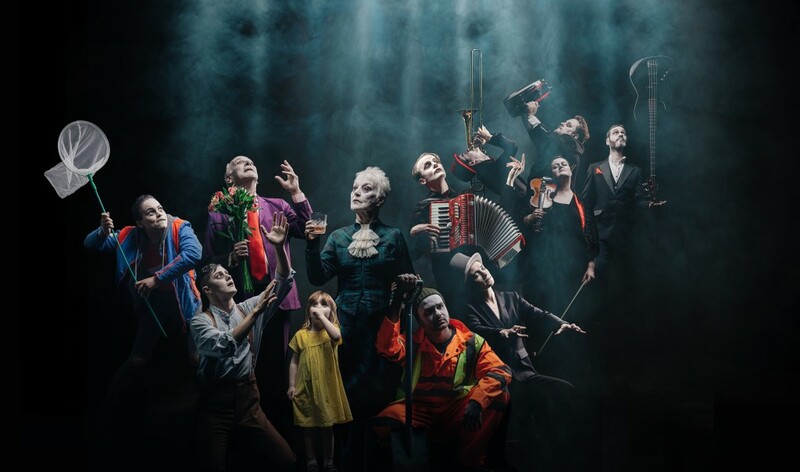 Created and performed by Vanishing Point and A New International, The Dark Carnival will transport audiences into an unexpected vision of the afterlife full of long-lost lovers, half-hearted ghosts, and songs that find themselves in a musical space somewhere in between Leonard Cohen and The Muppets. ← Kickstarter update – thank you for your support!